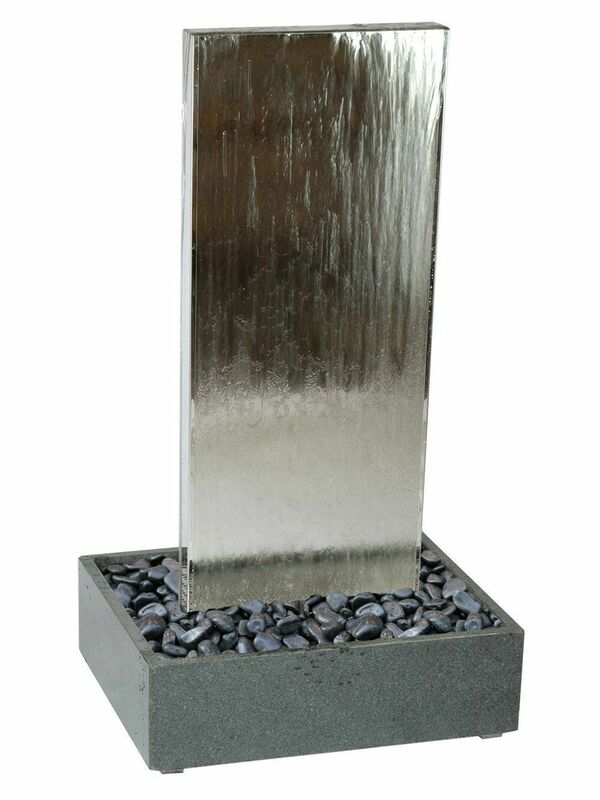 Aqua Moda Corten Steel Staffora 2.1m Garden Water Feature with Corten Steel Base and LED Light will enhance any garden or patio. 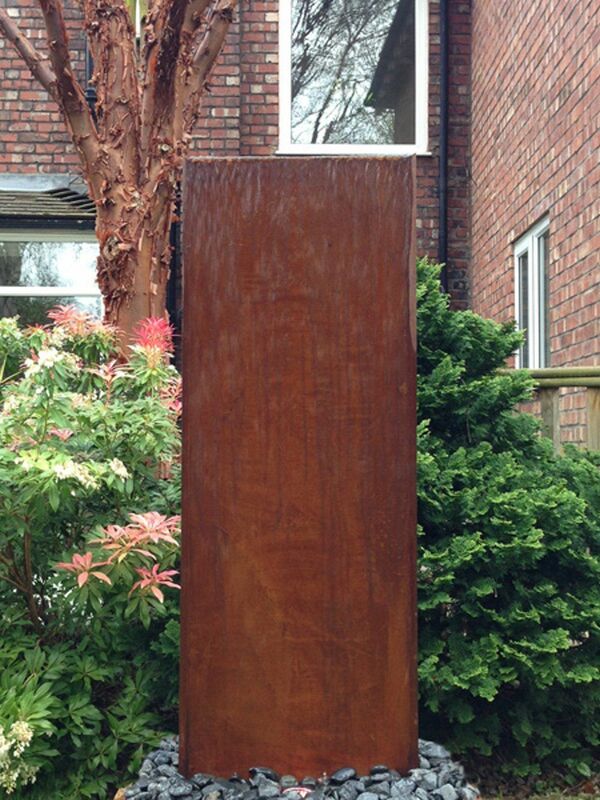 This feature is made from Corten Steel and appears at first look like any other steel feature, but after a few days of use the feature will develop a rust like coating, which also has a protective layer to protect against corrosion. Each feature will be totally individual and unique. The included LED light illuminates the feature at night time making it enjoyable both day and night. The Corten Steel base enhances the pebble pool when using the feature on patio or decking.